Your search for world-class derivative app ends here. Now, making decisions for your trade becomes so easy. Notifications & alerts help you take timely decisions. 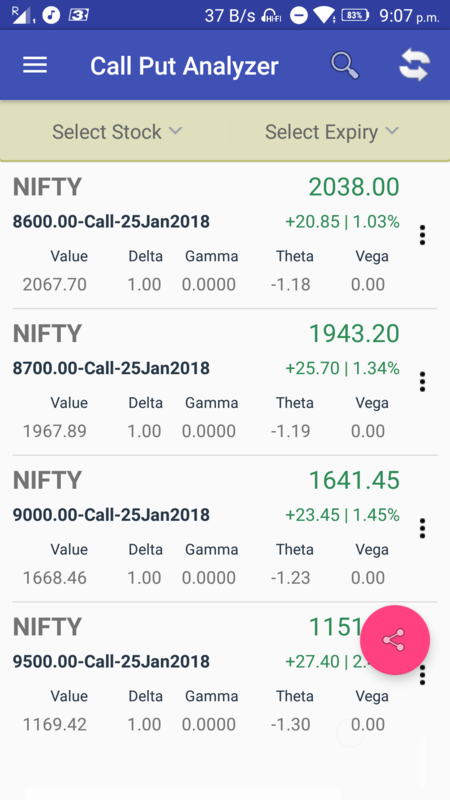 And the best part...get FREE options strategies during market hours. So, download today and become a part of this fast growing app. 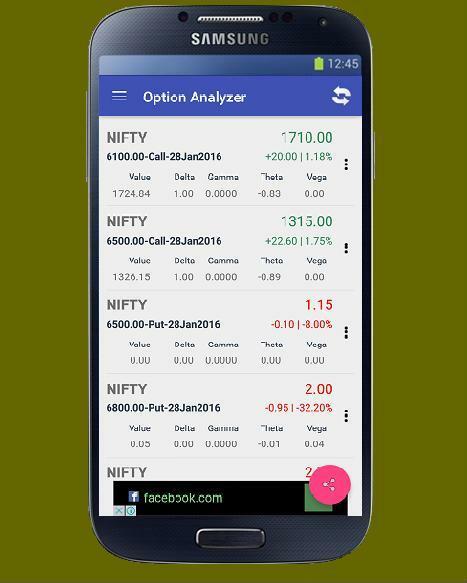 Presenting Option Analyzer app for smart option traders. 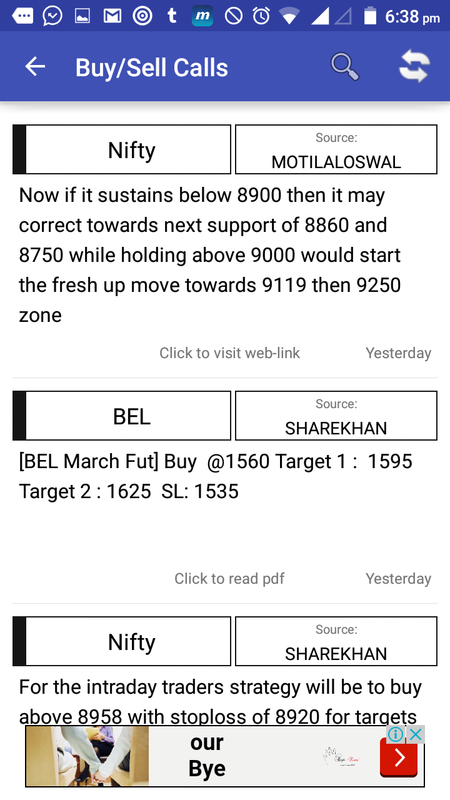 Call option & Put option analysis can be now done with few clicks. 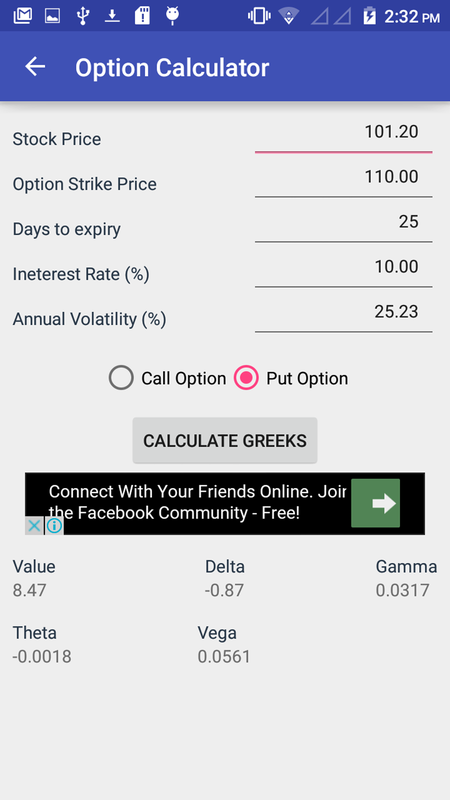 Greeks such as Delta, Gamma, Theta, Vega & value can be calculated using options calculator. 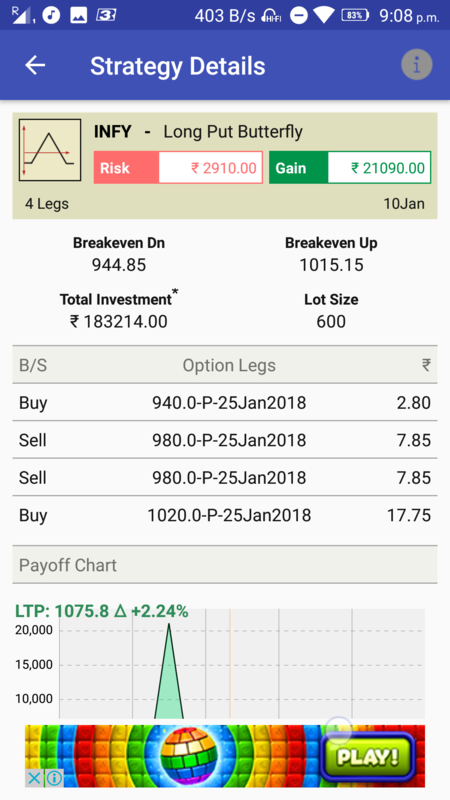 Option price movement & other option parameters can be tracked using the portfolio and watch feature. 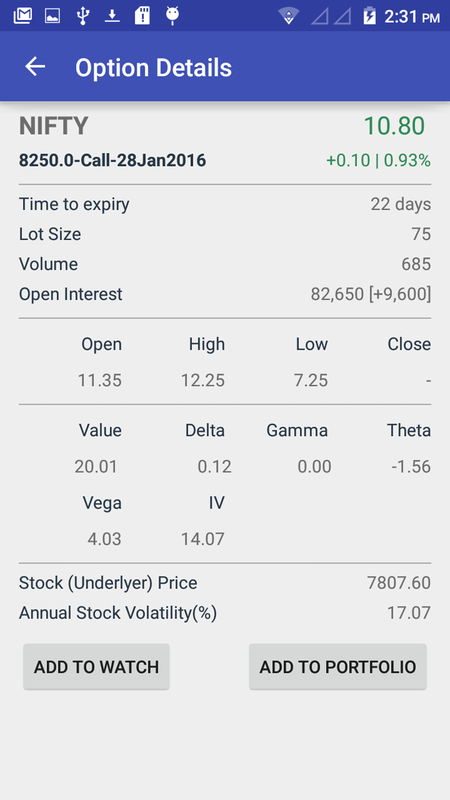 Option Greeks are calculated automatically are displayed. 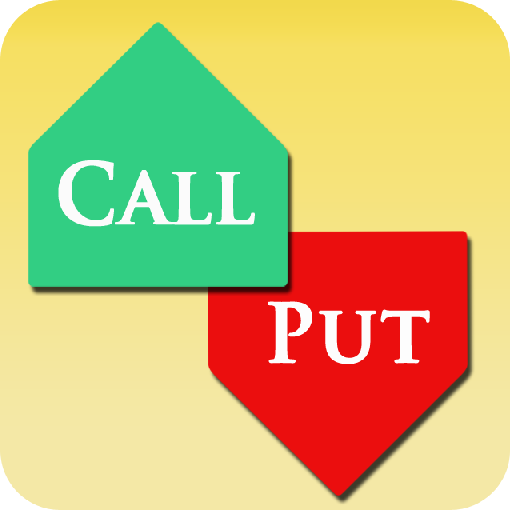 Option prices, Open Interest, Volume, Implied Volatility(IV) and other option details are displayed. 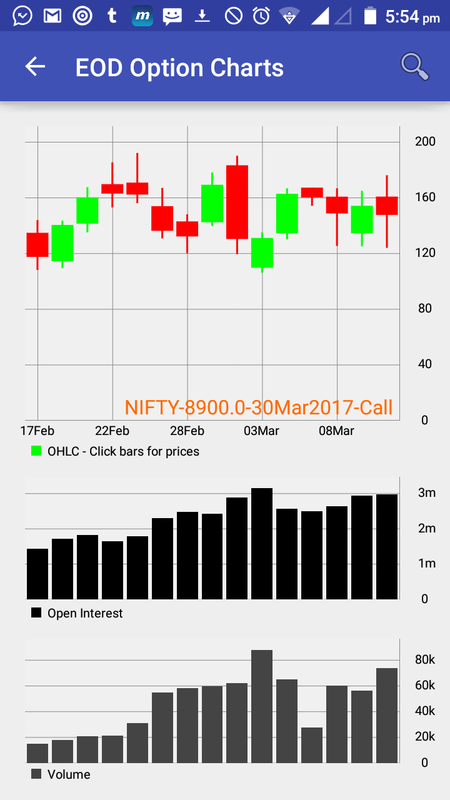 Here we have provided the actual screenshots just to give the users a view of how simple and user friendly Call Put Analyzer is. Still here ? Go. Make money. Why use Call Put Analyzer ? 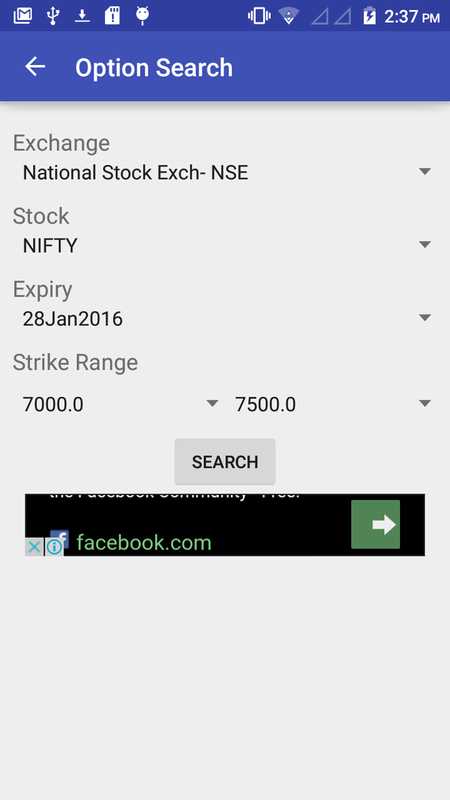 It is a fast growing app targeted for Indian stock markets. 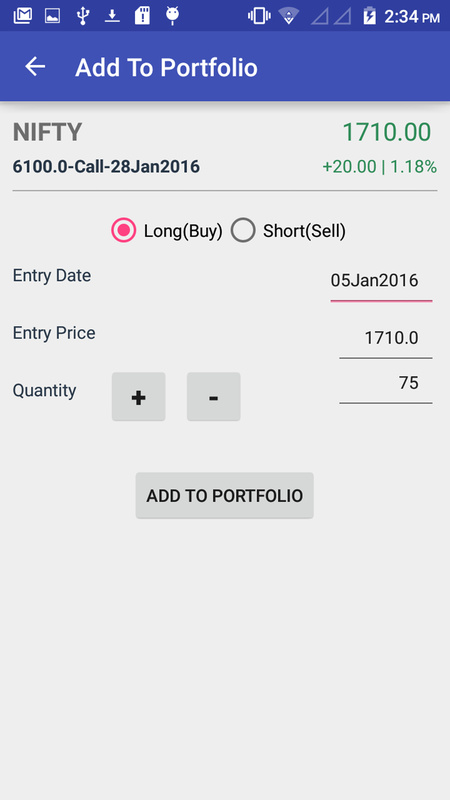 This app can be used for options analysis and option strategies. 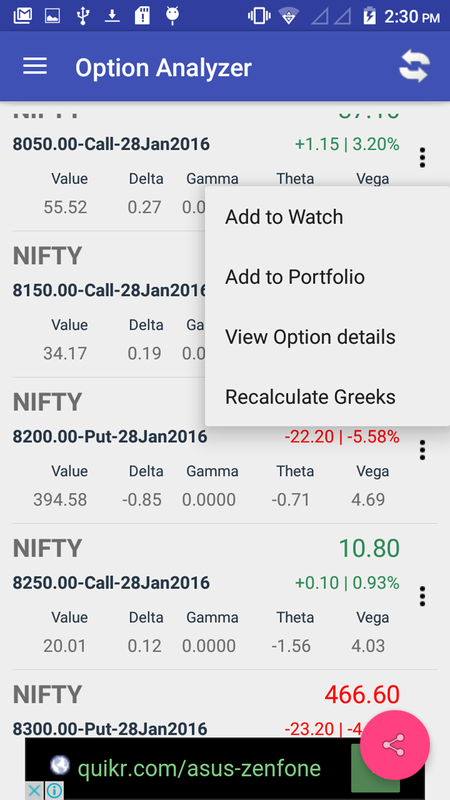 Also Call Put Analyzer has portfolio, watch and other exciting features to offer. Who should use this app ? 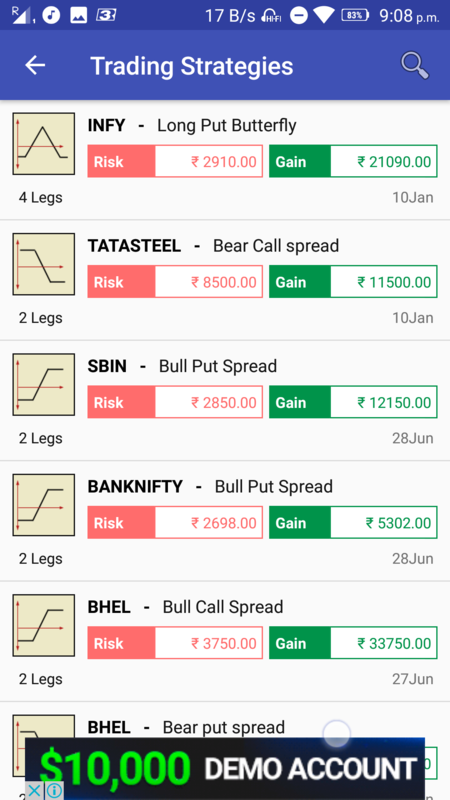 This app is useful for anybody who is interested in markets ranging from beginners to pro level. 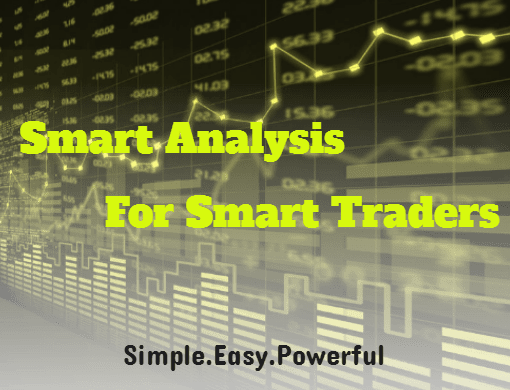 It is used for tracking and analysing markets. This is a free app. All featres are free except the premium strategies. Is this app available for IOS ? No. At present it is only available for Android. © Copyright Call Put Analyzer. All rights reserved.